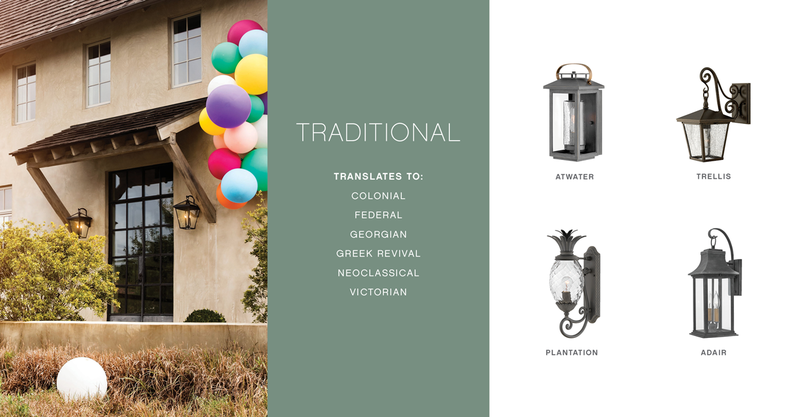 There are more lantern designs and styles available than ever before so explore all of the possibilities but remember to keep the architectural style of your home top of mind. 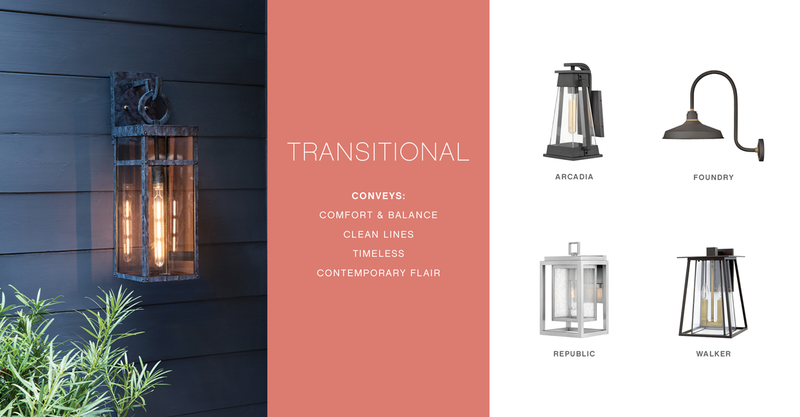 Our style experts broke down the most popular types of residential architecture and paired them with some of their favorite Hinkley lanterns. Scroll through to discover our Hinkley hints for choosing exterior lighting that will add curb appeal and value, while creating a fabulous façade. If you want to see more Hinkley Style, check out our homepage where we break it all down for you. Get ready to make the neighbors jealous! The timeless Traditional never goes out of style and features elegant exteriors with stately details. Choose lanterns with classic lines for a warm, inviting exterior. The Modern minimalist reinforces a chic bold style with clean, contemporary lines. 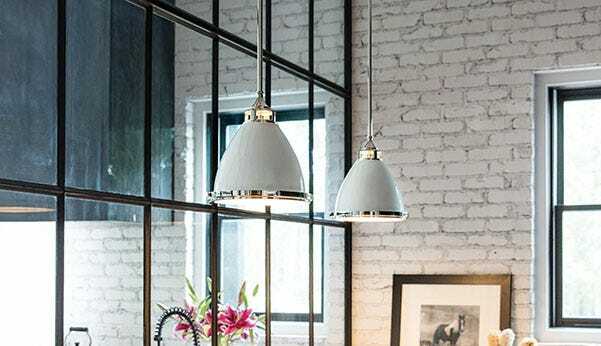 Layer in contemporary lighting that adds visual impact. The new kid on the block, Transitional architecture has gained popularity with its streamlined façades. 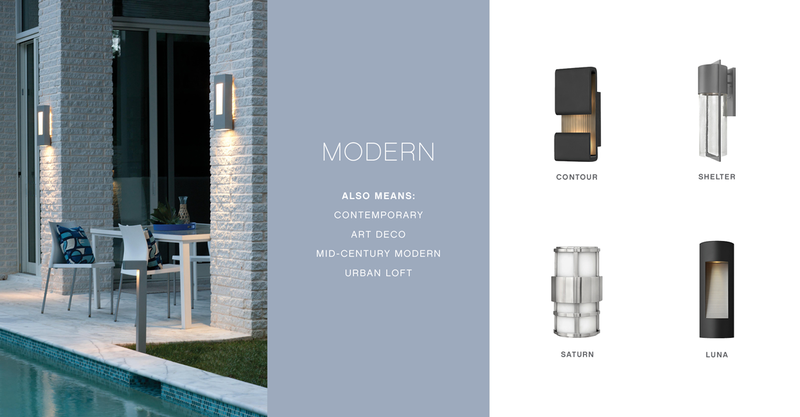 Add outdoor lighting that merges the best of traditional and modern design. Coastal inspired facades keep exteriors looking crisp, fresh and simple. 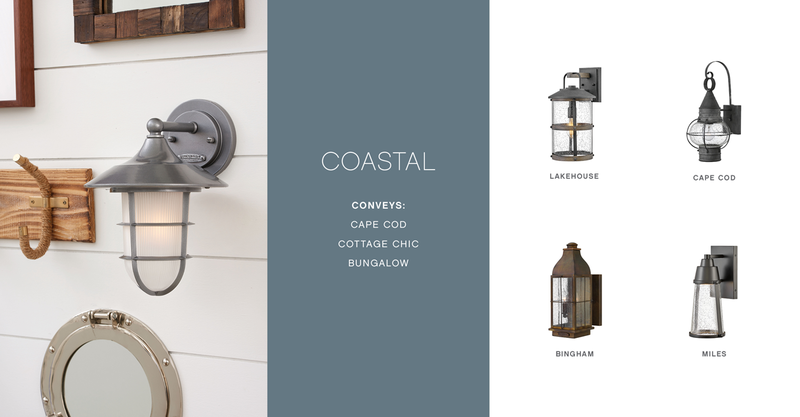 Adding lanterns with nautical details creates sophisticated and cohesive curb appeal. 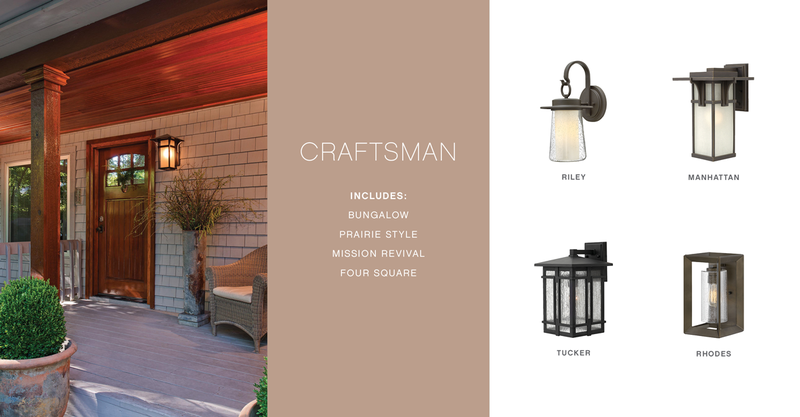 Craftsman architecture places an emphasis on elegant lines and rich, distinctive wood elements. Choose rustic-inspired lighting with unique details and bold finishes. Inspired yet? 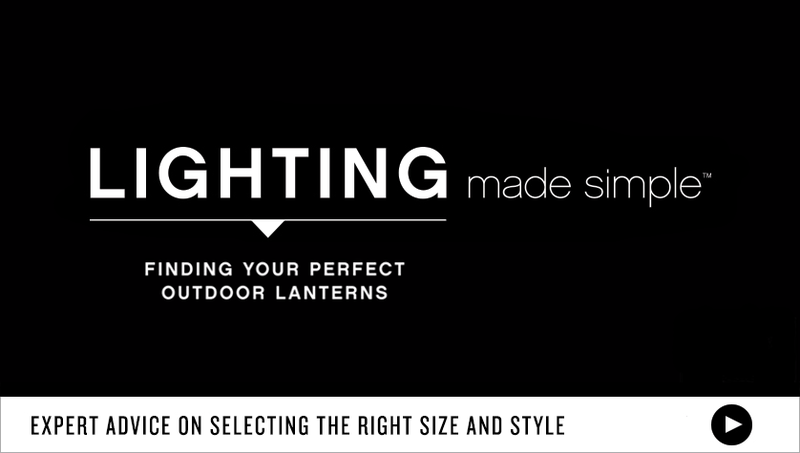 To find your perfect outdoor lanterns, view our entire line.